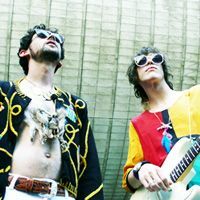 From Brooklyn, New York, MGMT is an American alternative rock band created in 2002 and composed mainly of Andrew VanWyngarden and Ben Goldwasser. Before this date, they were known as The Management. The band has released so far 4 studio albums and many singles. MGMT will be on the stage of MTELUS - Metropolis in Montreal for March 17, 2018. Come to the rendez-vous, buy your tickets on 514-Billets.com! Be the first informed if we receive new tickets for MGMT. You will than get a priority choice in our tickets inventory. Enroll yourself to our priority waiting list for MGMT to be alerted when new tickets are available. Filling this form doesn't engage you to any purchase.